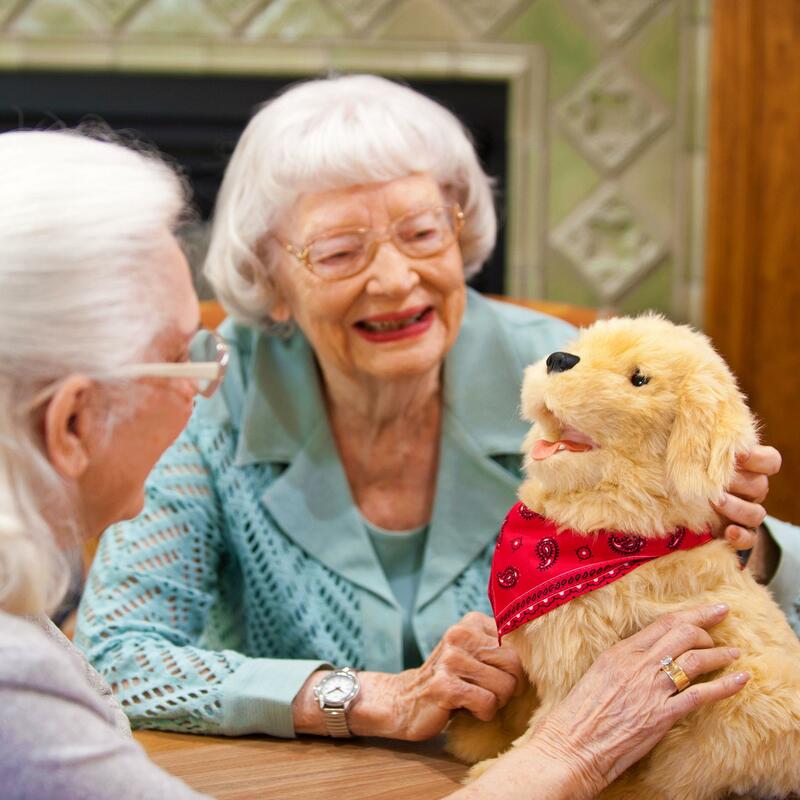 How Can a Smart Home Help the Elderly Age in Place Better and Longer? Smart Home (also known as Home Automation) technology for the elderly has been around for a long time. Who doesn’t remember “Help, I’ve fallen and can’t get up”? The technology has evolved since those PERS (Personal Emergency Response System) devices first appeared, and it remains an important product category for the elderly. Similarly, residential security systems also have a long heritage, and some of today’s leading vendors have expanded into Smart Home and added specialized packages for those Aging in Place. 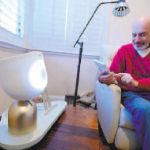 Shortly after my Social Robots decision, I began my Smart Home journey. First I got involved with Amazon’s Alexa because a Social Robot incorporates a conversational user interface. I discovered a way to learn about it before actually buying an Amazon Echo device (easier to do today!). 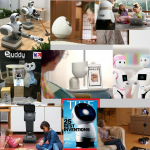 Since many of the Social Robots I discovered included a Smart Home control capability, I decided I needed to understand Smart Home technology. I decided that my acquisitions 1) would serve a useful purpose in my home, rather than only to learn/test, and 2) devices that can be controlled must work with Alexa. As of writing this, I have over 40 Smart Home devices and over 5 conversational assistant devices. I am sharing my experiences, in a series of articles, of installing these Smart Home devices, including, why this device, its purpose, how I decided on the product purchase, what problems I experienced and what changes I may have made over time. I encourage TechForAging readers to contact me in order to share their experiences with other readers. This article presents an overview of Smart Home technology with an emphasis on its applications for the elderly. Most of the topics below will have an article that goes into more detail, and information about relevant products. The first thing to consider is whether to do it yourself (DIY) or choose a vendor to rely upon. You might look at major retailers, such as Best Buy, or an existing service supplier, such as ADT Security Systems, Cox Communications or Comcast/Xfinity. If you are considering moving into a senior community, some, like this one offer Smart Home technology in new construction. A Smart Home device incorporates intelligence and communication to monitor and/or control elements within the home. Intelligence means the device has some kind of processing ability. Communication allows the device to report and receive instructions. In the 1980s I installed “X10” devices in my home. They communicated over the home’s power lines and a wireless radio frequency (RF) technology. Control was via an application running on a computer. X10 still exists. Today’s environment is known as the Internet of Things (IoT). Smart can refer to the ability to specify a simple action to be taken on a regular basis. For example, replacing a “dumb” electro-mechanical timer for a lamp that turns it on and off at specific times, with a smart outlet that can do that plus turn on at sunset, off at sunrise, automatically adjust on daylight savings changes, and not need to be reset after a power failure. Smart can additionally mean more complex situations can be “programmed” and possibly involving more than one device. For example, when everyone has left the home, such things as turning off lights, turning on the security system, locking the doors, and many other possibilities, can occur. 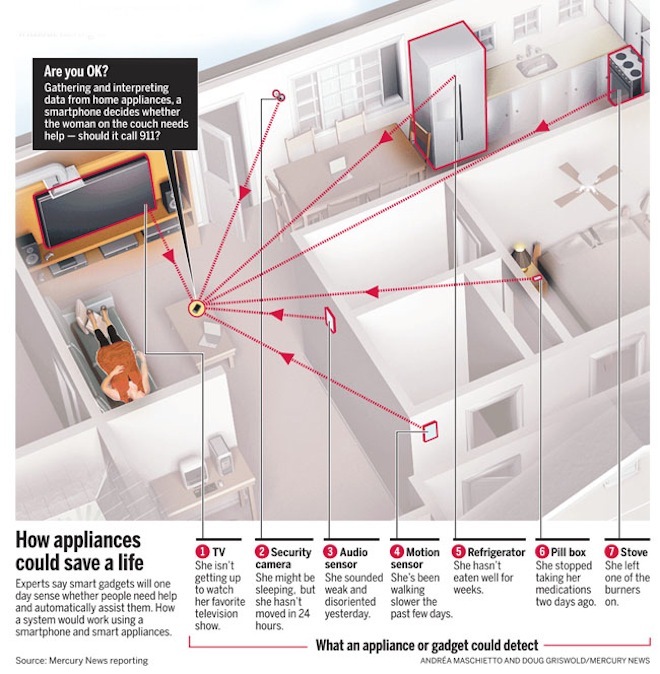 Perhaps most consequential is the potential for devices to provide intentional monitoring of people in the home (not necessarily using one or more cameras). 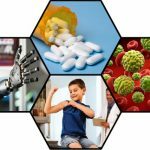 While this may seem disturbing, it can provide peace of mind, avert tragedy in an emergency, and predict health problems. Smart Home systems can be designed to send information regarding behavior patterns, environmental conditions and body vital signs to related powerful machine learning applications running in “the cloud” which can spot potential problems and alert those that need to know and/or can respond. What do you need to know about Smart Home technology? I am generally an optimist. 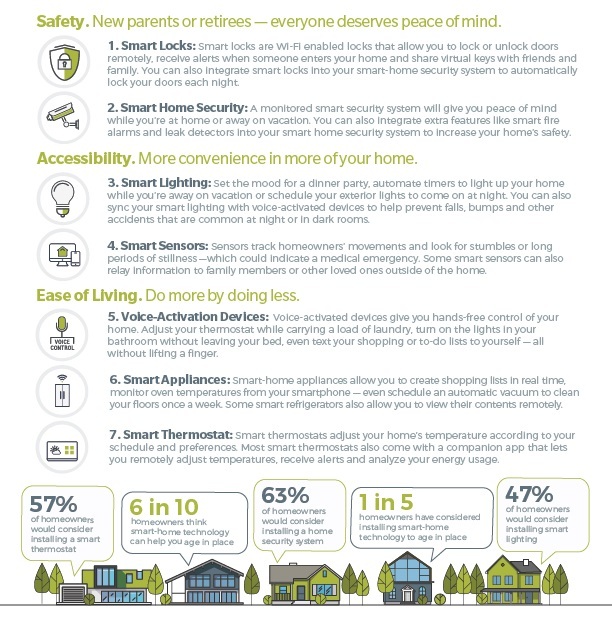 Despite the challenges and concerns I have encountered, I am generally happy with the numerous actual, and potential, benefits of installing Smart Home technology in my home, as I consider my experience to have enhanced my quality of life and may be saving energy/money. A future article will describe various aspects of deploying Smart Home technology to consider before going forward. As noted above, smart devices communicate. Because these devices, generally, require a smartphone app which allows us to monitor and control them from afar, there is an internet connection requirement. However, in many cases, and for a number of reasons, when deciding to acquire a smart home device, there may be several different network protocol (or language) choices for the same device type, sometimes even from the same vendor. For example, I have several outlets. Some work over Wi-Fi. Some work over the Zigbee protocol. Some work over the Z-Wave protocol. There are other protocols in use too including ones related to Apple, ones related to Google/Nest, and various efforts to establish a standard. Think about VHS vs Betamax, Android vs Apple’s iOS, etc. There will be more detail in the article describing various aspects of deploying Smart Home technology. The first device I acquired was a Wi-Fi outlet, so its communication is directly connected to the internet via my home’s Wi-Fi router. Consistent with my requirements, it can also be controlled by my Amazon Alexa devices. My second acquisition was a Philips Hue kit containing a “hub” plus smart bulbs. I eliminated four electro-mechanical timers with this solution. In a wired network (before Wi-Fi became dominant) hubs were frequently used to connect computers, printers, etc. to the in-home network. Several different types of Smart Home devices require a hub, in addition to the device(s), to make the internet connection. The Philips hub communicates with five bulbs (using its own private protocol) as well as the internet via a wired connection to my home’s router. Recognizing that I was going to be acquiring many more devices, I realized I needed to develop a strategy regarding potential additional hubs. There will be more detail on this in the article describing various aspects of deploying Smart Home technology. The product categories (introductory comments) below include the most popular ones in use today. New innovations constantly appear and, more and more, companies that started, and were successful, in one area, are expanding into other product categories. Many of these products are primarily used to provide safety and security. Probably the most important Smart Home technology for the elderly is the conversational assistant, especially for those not smartphone adept (or even own one). This is a key portal to technology that learns about us, instead of us having to learn about the technology. Also referred to as “Voice First” or conversational user interface. While Apple’s Siri was the first offering (for smartphones) and is just recently available for the Smart Home with the HomePod, it is widely viewed as unsuccessful. Amazon’s Alexa (initially via its Echo product) has been a large, and unexpected success. Google followed Amazon’s success with its Google Home and is helping users by offering serious competition, pushing the pace of improvements delivered by both companies. Microsoft, with its Cortana, has not made much of an impact, but like Apple, one does not count it out for the long run. Capabilities for the elderly are growing. Repeating reminders can be set to take medications. Placing and receiving phone/video calls using voice only. There are skills (or apps) that will contact others (via phone, text, email) if help is requested, plus memory and physical exercises for the elderly, among others. These general purpose services enable the connection of applications of many different types of products from many different vendors via the internet. The most popular one is named IFTTT (for If This Then That). They can be of particular use in Smart Home installations to accomplish a desired task that is not (currently) available using the standard apps of the devices. In some cases, newer products that intend to implement Smart Home control functionality may first offer IFTTT support. This is another important product category for the elderly. Some established home security companies have expanded their offerings from monitoring the home to monitoring elderly residents of the home. 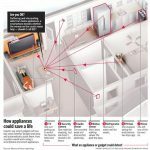 Recently, home entertainment (cable) and communications (phone) companies are expanding into home security and general (not specifically for the elderly, yet) Smart Home. There are also several recent startups using this approach. These systems are usually offered along with a monitoring service. Those designed for eldercare applications may include additional sensors, such as ones that detect a toilet flush, and other devices, such as the ability to shut off a stove. Eldercare monitoring systems use a variety of sensors to learn about and automatically monitor “activities of daily living” (ADLs) and movement, or lack thereof. There are also options that do not include a monitoring service, such as numerous popular DIY products. Many of the following product categories may also be included in a system’s solution. Caregiver, or family members’, peace of mind is a major benefit of these systems. Cameras, indoor and/or outdoor, are typically used for security concerns. Think of them as the eyes of an intelligent system. Simple ones connect via Wi-Fi and can be set up to record and send an alert when there is motion detected. There are numerous other features and capabilities available. Several security products are centered on one or more cameras. Cameras are also integrated with doorbells and outdoor lighting. Some of these products can be integrated into other systems for automation of actions taken upon detection of a suspicious event. Or, the integration may allow a senior to see who is at the door and issue a command to unlock the door. Or, a system might recognize you, via the camera, approaching the door and unlock it for you. In addition to the benefits of being able to check status, lock, or unlock remotely, it is possible to do it automatically within a defined distance. This can be helpful for people with mobility issues and means less concern over misplaced keys. Important in some eldercare situations is the ability for a caregiver to know if the occupant is leaving, or someone is entering. Garage doors openers can be integrated as well, with the ability to check status, and open, or close remotely. This is one of the most popular categories, and frequently one of the first Smart Home devices people will implement. Improved lighting in the home can be important when our eyesight weakens. It can also alert the hearing impaired when paired with other devices and appropriate intelligence. So when a project (inside or outside) is considered, adding intelligent bulbs and/or switches should be investigated. There are solutions for most lighting types within the home. Automated lighting can be an aspect of home security, such as when on vacation, or detecting activity outside the home late at night. Cost, and energy, savings can be achieved. 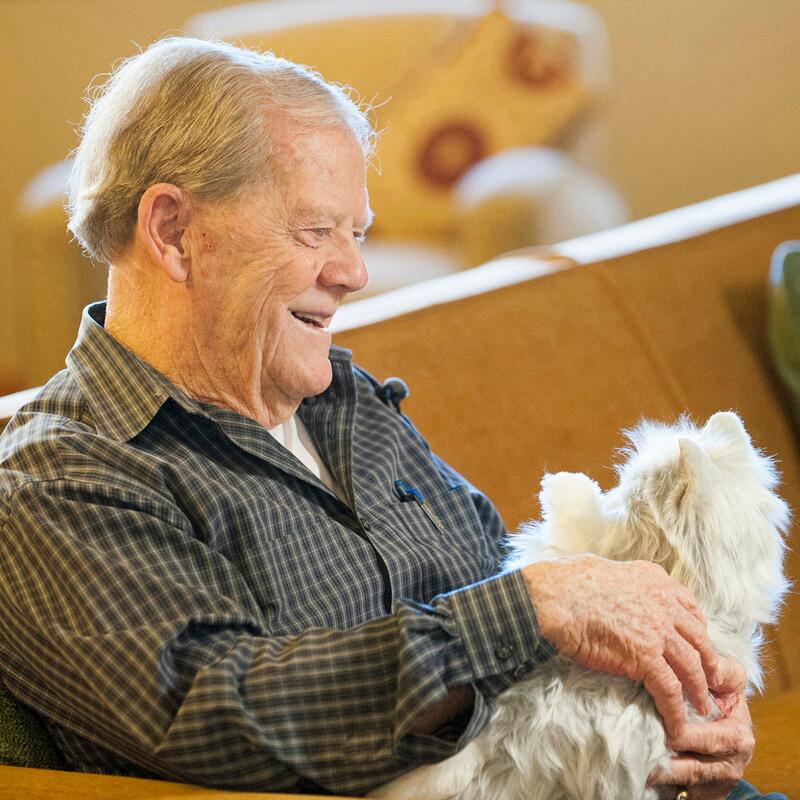 Not having to get up to turn them on, or off, is an important quality of life benefit for the elderly. If not living on your own, relationship improvement can be had if others tend to leave lights on and that bugs you, or vice versa. Outlets are also very popular and can be used with some lighting (lamps), but more importantly with appliances. The same savings, quality of life and relationship benefits can be realized from the ability to automate and control a variety of things that are plugged in. Many can monitor power usage aiding the ability to reduce consumption. Wi-Fi connected versions of these devices provide a very important benefit. If smoke or carbon dioxide is detected and you are not at home, you can get an alert on your smartphone. Additionally, an alert can be sent to designated contacts. It may be possible to cause lights to indicate, via flashing or color, the alert – important for the hearing impaired. Another couple of benefits, via the app, are the ability to silence an alarm (like when cooking) and perform testing. Lowered insurance costs might also be available. Smart thermostats are similar in popularity and benefits to smart lighting. Smartphone apps and integrations with conversational assistants mean not needing to get up to change the temperature. Detecting when occupants leave and return can provide significant cost savings. 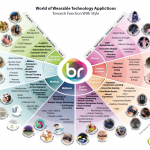 There is a tremendous amount of innovation happening for the Smart Home. Here, briefly are some more categories. The graphic below summarizes this topic well. You can click it to read the (somewhat dated, but otherwise good) HomeAdvisor article.